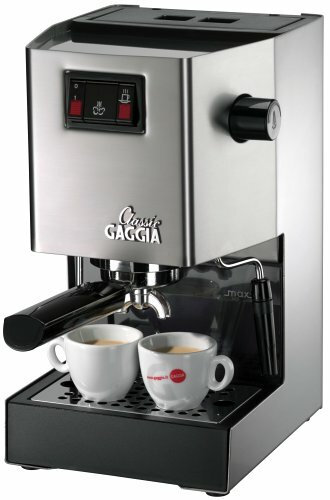 There are a few coffee machines which are as easily recognizable as the Gaggia Classic. The history of this machine dates back a few decades ago, although the reviewed model here is the newest version of it. It is better in some ways, and slightly worse in others, but overall it’s a great improvement by an even greater company. This espresso machine has so much experience behind it that it makes all the other reviewed units look like up and coming youngsters. It can handle huge volumes of work and produces one of the best cups of espresso you can get. 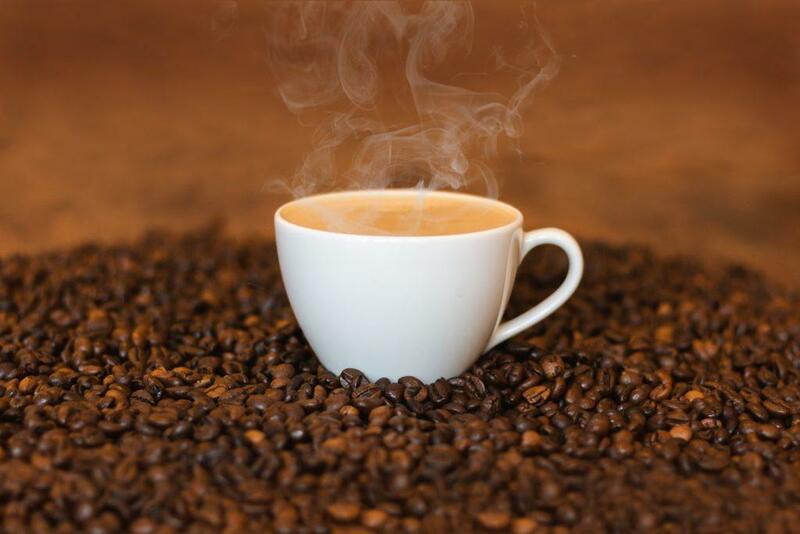 That, in our opinion, is the basic blueprint for a successful small coffee shop. If you want something even smaller, for example, you can go check out our review of the Delonghi EC685M DEDICA. It does wonders for your home-brewed coffee but fails to deliver when it comes to commercial use (unlike the Gaggia Classic). The portafilter has a commercial design, with the exception of it being extra wide (around 2.3 inches). That allows the water to be evenly distributed over a wider surface area, thus producing a richer taste. Its handle is made of high-quality plastic too. The chrome-plated brass filter holder maintains the heat stable during the whole brewing process. The group is made out of chrome-plated marine brass. This gives you overall better brewing conditions via its incredible heat stability. The material is also very long-lasting. Using quality materials was one of the very reasons why the old model could outlast a whole generation of baristas. Let’s take a moment to appreciate the boiler of the Gaggia Classic, though. The system is very unique and is constructed of a highly conductive aluminum, packing two separate heating elements. Now, in all honesty, aluminum isn’t great, as we pointed out in our Buyer’s Guide, but it has excellent heat properties, which represents the core-values of Gaggia, and that is proper heat control. Another great thing about the heating system is that it has the highest possible wattage combined with a relatively small boiler (around 3.5 ounces). That generates great heat control and quick heating up. Since this machine doesn’t have a built-in tamper you can go ahead and add one to your purchase, as it will come in handy. The most recognizable feature of the Gaggia Classic is the retro-styled rocker arm switches. They control the power, the steam and the pump. There is also a built-in light on the power and pump buttons. They all work pretty fast. Pressing the middle steam switch heats up the boiler to heat temperature in a matter of a few moments. To brew your espresso, just press the right (pump) button and it will initiate the espresso-making process. There is another light which shows you when the boiler has reached its operating temperature. In terms of the actual temperature, you aren’t in control as much as you are in some other espresso machines, such as the La Pavoni PA-1200 Napolitana, but Gaggia believes that they have got the right one for you and fixed it there. Now let’s briefly summarize all the advantages and disadvantages of this model. Baristas are divided into two camps when it comes to the Pannarello wand, used for steaming and frothing. All in all, we think it’s up to the personal preference of a person whether he likes it or not. If you are planning on opening a small coffee shop, or simply want a user-friendly espresso machine at your house, which will brew the perfect cup every time you turn it on, and won’t require much maintenance, the Gaggia Classic is ideal for you. It comes at an affordable price and doesn’t have a huge body which eats up on your kitchen space. We gave this product a four out of five stars.